Why does it sometimes seem to take longer than expected? We get these questions most often of all. Realizing that many customers don't know the detailed work involved, the following is an outline of the steps involved to repair your vehicle when you bring it to the Bumper Globe Collision Centre. In quite many cases, hidden damages are discovered during the teardown and caused a bit delay which requires customer and insurance approval for additional work. 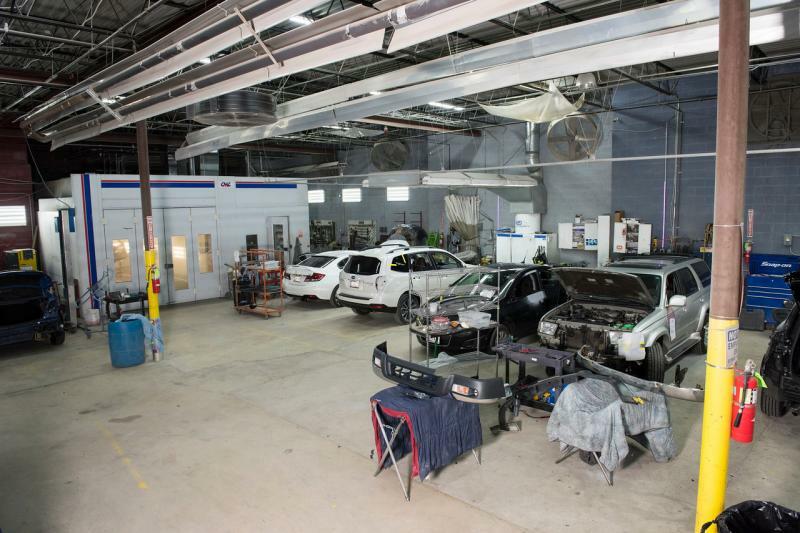 Each step is completed fully and accurately with attention to detail, guaranteeing that your vehicle is repaired to its original pre-accident condition. Remember, you have rights to choose your own shop other than insurance's preferred shop and we follow insurance's written estimate and agreed repair cost.